The Betfair sportsbook is known to be one of the best places in the world to gamble on a whole host of different sports. There are two different aspects to the sports betting offered. You can either play at the standard sportsbook, or you can play at the Exchange. The latter is the world’s biggest betting exchange, and sees you placing bets against other players. The Exchange is often preferred, as it can provide better odds, as Betfair aren’t taking much of a financial risk. 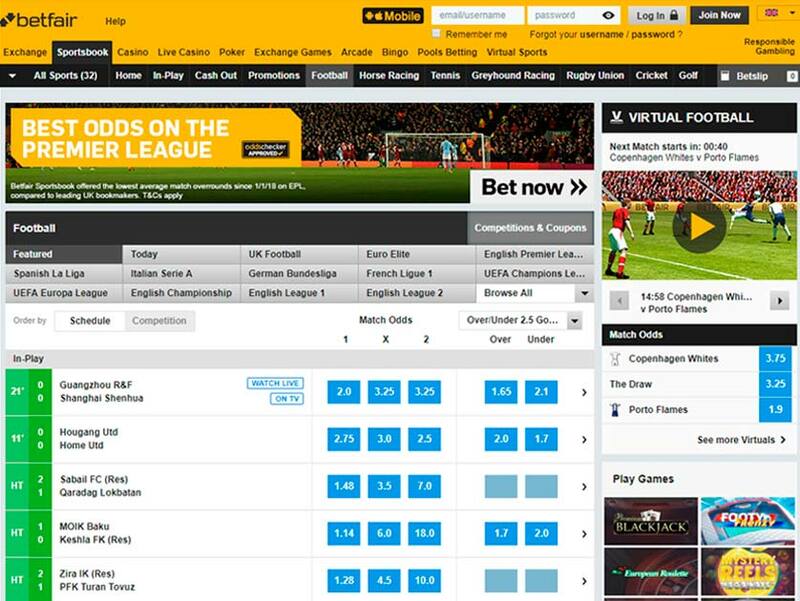 Whatever option you choose when gambling at the Betfair sports betting website though, we know you’ll have a great time. Why not learn more about this online bookmaker by reading through the comprehensive review below? You’ll find the whole gamut of different sports on offer at Betfair, making it the number one choice for those who like variety. We’re going to talk specifically about football betting though. After all, football betting is the whole reason our website exists! We’ll combine the sportsbook and the Exchange into one here, and simply say that the range of football betting options on offer is absolutely massive, ensuring everyone will find what they’re looking for. Guarantees of the best odds are also often offered, particularly for Champions League matches. 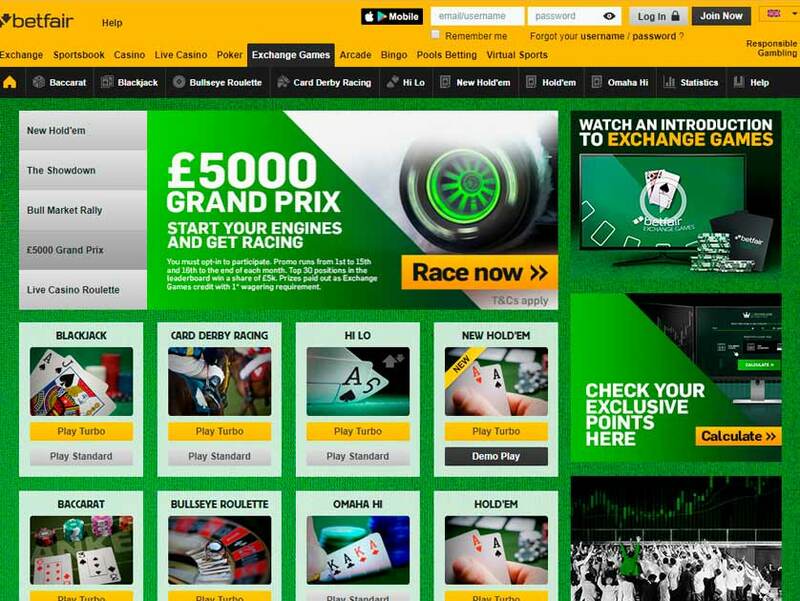 The Betfair in-play betting experience is a really strong aspect of the site. It might not look too snazzy at first glance, however delve deeper and you’ll find that there’s a huge amount offered. It’s not just the sportsbook that offers live betting though, as the Exchange also offers this form of sports betting. Betting live on the Exchange is slightly trickier though, so try to only make small bets until you’ve managed to find your feet. Once you know exactly what you’re doing, you’ll absolutely love the whole experience! There are welcome offers for both the Betfair sportsbook and the Exchange, however we think that the sportsbook sign-up bonus is best. This is because you can earn free bets worth up to £100, which is absolutely amazing! Essentially, you need to place 5 x £10 or more bets in order to receive £20 worth of free bets. You can then repeat this up to a grand total of five times. Please remember that only bets placed in the sportsbook are counted towards this promotion, so perhaps avoid betting in the Exchange for a while. The Exchange also has a welcome offer, although it’s not as large. It basically works like this: bet £20 on the Exchange and, should the bet be a losing one, you’ll receive a £20 free bet to use at the Exchange. It’s not as big as the sportsbook bonus, but it’s still worth claiming. New players at Betfair should remember this: it is possible to claim both welcome bonus offers. This is something that all players at the site should do. Additionally, you can also claim bonuses in the casino, arcade and poker rooms too, if you’re also interested in these. Please don’t worry about bonus codes, as these aren’t needed for the sign-up bonuses at Betfair. Customer service isn’t something most people worry about, until they have to use it. They then realise that the level of customer support is actually incredibly important. Luckily for all players, the Betfair customer service is absolutely superb, meaning they resolve most issues and answer the vast majority of queries. The easiest way to contact them is by using the live chat feature, which can be accessed via the “Help” page. You can also phone them between 07:30 and 00:30. If you are not in the UK or Ireland, you might find that the international call is very expensive though. There’s no email address listed on the site, which is strange, however you can also use Facebook and Twitter to ask questions and make complaints. It should be mentioned that the “Help” section is particularly good, answering many of the more commonly asked questions. How do you deposit money at Betfair? The answer: in many different ways! Betfair offers a comprehensive selection of different payment options for players at their site, however most use a credit or debit card. E-wallets are also popular, and these include PayPal, Neteller and Skrill. All deposits are instantly added to your account, meaning that there’s no waiting to make your bets. The minimum deposit using some payment methods is just £5, however there are some fees charged, so check on this before you deposit money at this site. The withdrawal time at Betfair is usually pretty fast, with most requests being processed within a couple of working days. Those looking for the fastest withdrawal times should use an e-wallet. There is no minimum withdrawal amount when using some methods, which should suit low stakes players, and you also won’t generally find fees for withdrawing your funds. The Betfair mobile app is an absolutely fantastic one, crammed full of all the features you could ever ask for. Regardless of whether you’re using the Android app or the iOS app, you’ll find that you can do pretty much everything, including place bets, contact customer support and deposit money to your account. The app is updated on a regular basis - those wanting to get the full use out of the app should allow it to make automatic updates on their mobile device. The Betfair mobile app is completely free, as is the case with all good online gambling apps. If you like mobile betting but don’t want to download the Betfair app, you can instead play via your mobile browser. Just head to the Betfair site and the page will automatically work perfectly with your device, regardless of the size or resolution of your screen. We think that the mobile app is more convenient to use, however gamblers will have access to the same range of markets regardless of the option they choose. There can be no denying the fact that mobile betting at Betfair is absolutely fantastic! 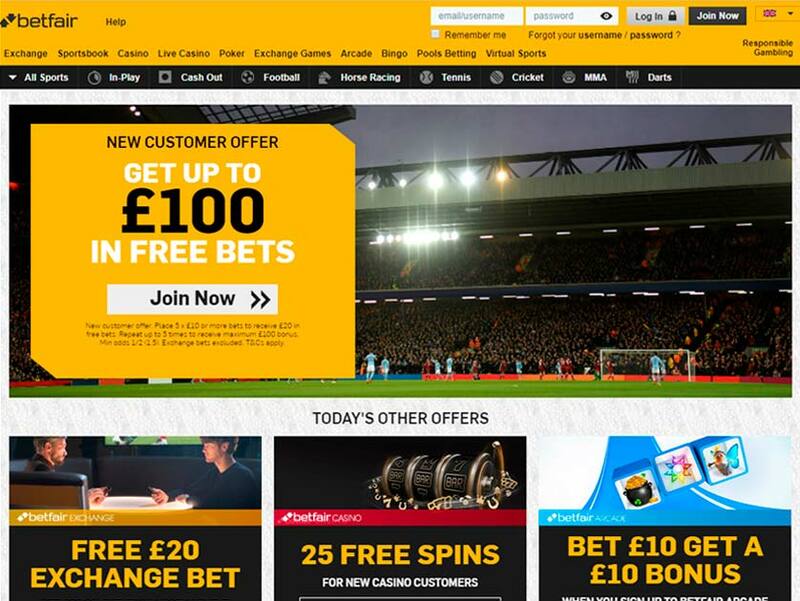 So, what are our overall thoughts of the Betfair sports betting site? Well, we think that this is one of the best places to bet on football in the world, which is one of the reasons it’s so popular. Football betting isn’t the only thing offered either, as you’ll also be able to bet on loads of other sports. The two different sign-up bonus offers should be more than enough to please new players, and anyone with a question will be able to speak with one of the best customer service teams around. Betfair is such a big site for a reason, and we think you should definitely head over there today. You can then claim your bonuses and start betting on football straightaway!